Show off your personal style and design your own leggings using photos, designs or text. Custom printed leggings in either full length, Capri or 3/4 length allow you to make a unique fashion statement and always be on trend. Choose from two gorgeous fabrics and enjoy wearing clothes that are sure to turn heads on the street. Use photos, patterns and/or text to make your own personalised leggings just the way you want them. With a choice of three lengths and two gorgeous Lycra fabrics, these printed leggings are incredibly versatile and have a range of uses, from sportswear to daily fashion. Fashion is for everyone, so they come in eight sizes, from XS-4XL, ensuring you look gorgeous whatever your shape. If you want to design your own leggings for your brand, there's also the option to add your own custom label online, perfect for displaying your logo. Excellent service, user friendly application and very easy to use. Love the final product. Have recommended friends to your site very impressed and thank you. This is the second time I've used bags of love and it hasn't disappointed. The quality of the product is superb and designing / purchasing on the website was easy! The most amazing pair of leggings I've owned. Only two days from placing order to delivery of my beautiful leggings. Colour so vibrant and quality of material exceptional. I'm so in love with my leggings! Available in sizes XS, S, M, L, XL, XXL, 3XL and 4XL. Sizes are approximate and may vary from woman to woman. 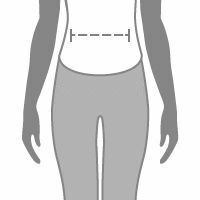 If unsure about what size to get, please measure yourself well and refer to the chart above. If sized in the middle, we suggest you go down to the lower size. We also offer a choice of the thread colour - black or white. This colour choice refers to outside stitch only, not internal or over-locked stitching. Plus size photo leggings work for tall ladies too. Choose from full-length, fashionable Capri leggings mid-calf length or sporty 3/4 knee length. Model is a UK size 10, Height: 174cm, Waist: 72cm, Hips: 98cm and wearing our medium leggings. NB: We print a discreet barcode on the internal hem of the left leg, invisible from outside, containing the unique reference for your custom leggings, proving they are truly original and one of a kind. 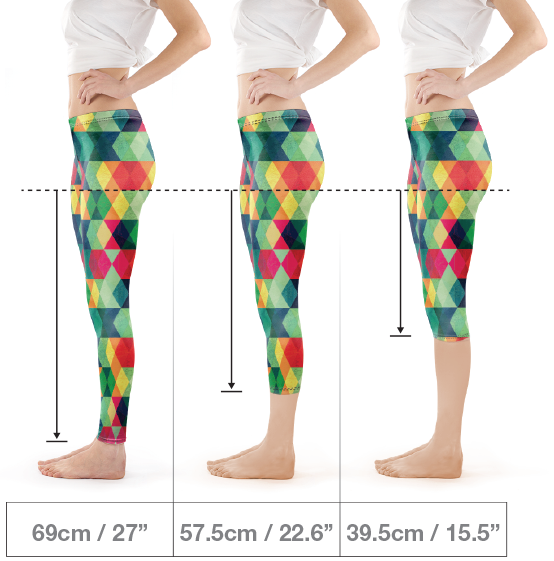 Like many of our products, your printed photo leggings come with a quantity discount, so when you buy more than one, the price per pair is cheaper, helping you save money. For bulk orders or dropship print on demand, please contact the customer service team to receive more information regarding the wholesale discount we can offer you. We lovingly make your printed leggings by hand and to order, guaranteeing you a beautiful bespoke garment. We print your photos or design onto the chosen fabric using a specialist printer process that creates a full-colour design. Our printing machine uses water-based, eco-friendly inks. The Lycra is cut to size and hand stitched together by our expert seamstresses, using either black or white thread. The finish is flawless, and your personalised leggings are a stylish addition to the wardrobe. Care: Machine wash as often as you like at 30°c and tumble dry on low, or they quickly dry out when laid flat. No ironing required. Two-year guarantee on print and finish. Each of the Lycra fabric options has a slightly different appearance, but they're all stretchy, comfortable and form fitting. The Matte Lycra has a smooth slippy face and is great for bold block colours as well as more complex, busy designs. The Soft Sheen Lycra has a shiny, shimmery face that catches the light easily. The Soft Sheen is well suited to fashion garments, and the Matte Lycra would make for a great pair of printed leggings for the gym or yoga pants. The optional custom label is a brilliant opportunity to print a message or design your own leggings label for your exercise brand. What a treat to be able to design your own leggings custom made with art, funny faces or photos you love. You can use a good pair of leggings as an alternative to tights. Jump on the trend and create a pair with all over print as face presents. Vintage, geometric or floral patterns work a treat. Another great use for personalised leggings is to make a collage leggings out of them. Use our free leggings montage app to create stylish collage leggings with your favourite photos all over. You could choose photos of friends, movie stills, hen parties or holidays, and enjoy wearing your fond memories. If you are going on a hen party, it's expected to dress up in matching themed outfits. Personalised leggings can be printed with naughty nicknames running down the length of the leg. This is a funny conversation starter for when you walk into the bars and clubs. A cool idea for gym leggings or running leggings is to print a motivational quote that will get you inspired to exercise. Or alternatively, create 3/4 length leggings printed with a funky pattern that'll ensure you're stylish even when on the treadmill. Great for gifts or for yourself. Design your own sleeveless dress your way. Your bodycon dress can be personalised to feature your designs, words or photos.